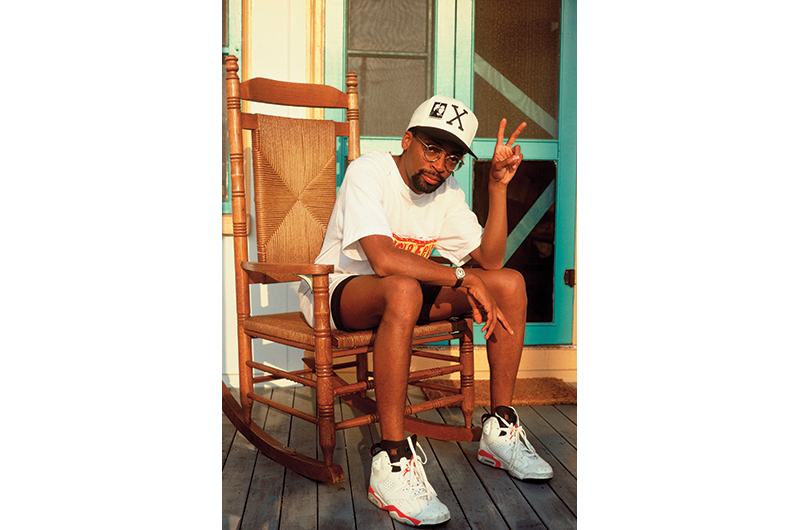 The broad strokes of Spike Lee’s style have remained the same over time, even as the particulars have changed: bold colors, unusual specs, a flat-brimmed hat. In this photo, taken at the Camp Ground, the filmmaker wears a Malcolm X cap, spandex, and Buggin’ Out–style frames. As for the most indelible aspect of his early-’90s look? In the words of Lee’s character Mars Blackmon, “It’s gotta be the shoes.” Specifically, Air Jordan 6 OGs.